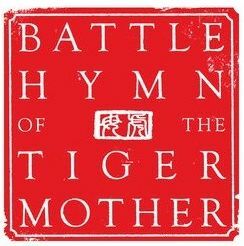 When I read the WSJ article Why Chinese Mothers are Superior by Amy Chua, I had an immediate negative visceral response. I was simply aghast after the snippet on the actions that Chua took to get her 7-year-old prepared for a piano recital. Although I didn’t read Chua’s book, I collected more information by soliciting two of my very successful Chinese-American friends and by reading other related blogs/opinions/comments. I learned that there is a range of behaviors within the extreme parenting advocated (described? lamented?) by Chua. Both of my Chinese-American friends agreed with some of Chua’s observations but not all. There is also a range of reactions to the behaviors. Many kids became successful (as shown by the statistics) and some became scarred for life (see opinion by Lac Su who also wrote a book on Tiger Mothers). What I have realized is that parenting methods derive from parenting priorities, whether stated explicitly or not. What you choose as your priorities determine your methods and your metrics. There can be endless argument in favor of differing priorities, but as a parent, you get to choose the investment priorities in the extremely complex and multi-fauceted task of raising a child. If you narrowly focus on a few factors (academics and music) you can achieve success in those domains, but potentially at the expense of other factors. David Brooks make an excellent case for the value of social factors in his NYT piece, Amy Chua is a Wimp. Amy Chua deliberately chose academics and music as her priorities for teaching her children. Her metrics were GPA, class rank, and recital success (piano or violin only). By her own admission, her methods were often shame, humiliation and coercion. To her credit, her daughters succeeded in both of these domains. Create a caring and generous soul. The metrics for my priorities are much more difficult to quantify and my primary method is to capitalize on teachable moments. The jury is still out with regard to success because my children have not reached matriculation. I have given and continue to give both my son and daughter opportunities in diverse environments (social, music, academic, domestic, athletic, etc.) trying to amplify what interests them while providing them safety in the background. Although I do require a minimum of proficiency across all domains, in their early years especially, I supported just trying stuff with a minimum level of commitment. My kids tried languages (Japanese! ), music (flute and piano), and many sports. Even though my husband would have liked our son to play baseball, our son found his soul in soccer. I dreamed that my daughter might be a swimmer, but her passion is cheerleading. By allowing them to choose, we have nurtured self-directed drive for accomplishment. I never tell my son to practice his soccer footwork, but I do have to tell him occasionally that it’s driving me crazy and that he needs to give it a rest. Like Brooks, I tend to think that the trickiest stuff to learn is the social factors – there is no road map or easy measurements. Yet the next generation will have to navigate a more complex world than we live in today, thus it is super important to ensure that my kids be fully competent in this capacity. Disallowing media, sleepovers, and friends avoids the issue and does not allow for development, so it is imperative (to my husband and I) to thoughtfully allow all of these complex interactions to ensure that they achieve excellence in social collaboration without becoming lost. To that end, my husband and I hold fast to the, “trust but verify” method of teaching. We give our kids sufficient rope to try stuff (what friends they will choose, what media they will consume, and how they spend their leisure time), but we pay very close attention to what they say they are doing and the congruence to the signals that they send. We don’t allow them to go just anywhere, we require knowing: the who, the what, the where, and the when, of their choices and then we observe. For example, does their style of dress match the social situation they told us that they were attending? If stuff does not match, we hold them accountable taking each breach as a teaching opportunity. My kids hate reading books or writing essays on the subject of scrutiny, but we have found that such methods instill the required reflection for incremental maturation. One time after a particularly egregious transgression of trust, I required my daughter to read with me, girls gone MILD by Wendy Shalit and then write an essay on selected themes from the book. Her essay was excellent and I know that it made a difference from the perceptible changes than manifested. To Chua my priorities and methods might look like over-indulgence in media, friends, and leisure, but the reality is instilling my priorities in my kids is just as excrutiating as instilling her priorities in her kids, mine are not as visible. Love and nurture because children are our most precious gift. Can you articulate your priorities? I have decided that I want to learn to run barefoot/minimalist. Why? Do I have biomechanical gait errors that could be corrected and that might improve my running and potentially reduce future injuries? 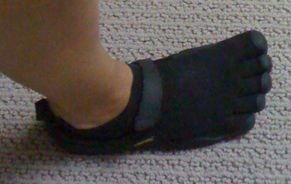 I discovered that I did Too-Much-Too-Soon (TMTS) by acquiring the dreaded newbie barefoot runner Top-Of-Foot-Pain (TOFP). So…. I purchased Jason Robillard’s The Barefoot Running Book, to figure out how to get back to that wonderful feeling of minimalist (VFF) running (his running 101 guidance is also on his website) and hopefully learn to improve my gait. Jason recommends that one start very SLOWLY in wholly bare feet because the biomechanical feedback is even more sensitive than in VFFs. 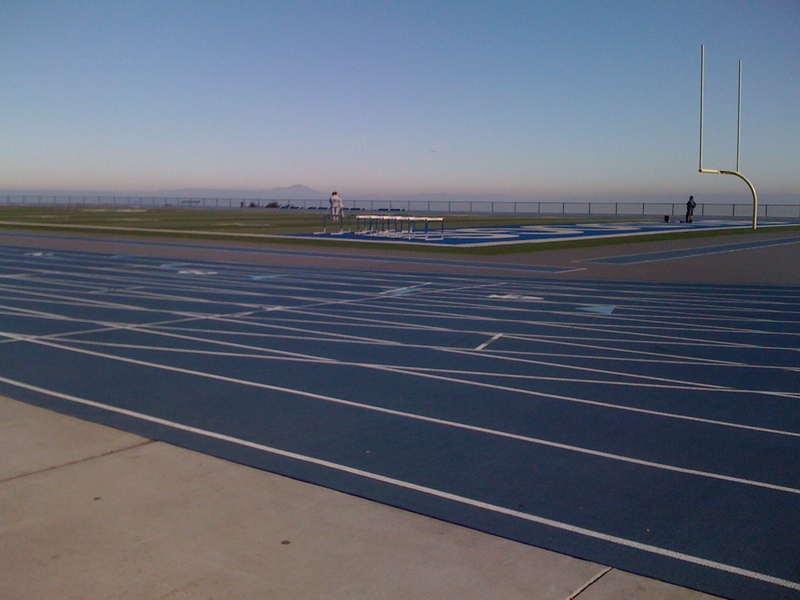 He recommends barefoot running on a track: slowly, with very little mileage. So…. My running gait barefoot is indeed much better (more relaxed, more comfortable, and more joyful), but my real goal is to habitutate my brain to run with this gait even with with my shoes. 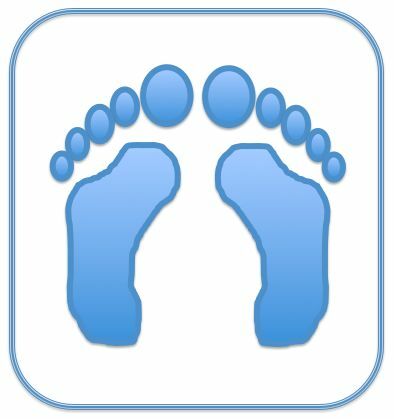 Use barefoot running to harness the highly sensitive biomechanical feedback of my body to improve my gait. Habituate to the improved gait with running shoes. Do no harm – be wary of the perils of barefoot running: TOFP, puncture hazards, latent poison oak leaves on trails, etc.. Prevent injury and preserve my love of running – strive for relaxed, comfortable, and joyful runs forever. Jason reminds us, “barefoot running is about feeling, not thinking.” Does your run feel good? The management of technical complexity and its evolution is probably my favorite subject. I am simply fascinated by the challenges created by ever more complex technologies and the processes required to see them to fruition. I read the book War Made New (Boot) a few years ago. It was a fascinating read, with the most striking element being the evolution of tactics and strategies as new technologies emerged over 500 years of military history. Boot captures the evolution of weaponry and concomitant strategies vividly because he covers 500 years of the proverbial arms race in time-lapse drama – it’s easy to see the big changes and the impacts of those changes in his case studies over such a long view. Are you actively developing collaboration, encouraging adaptability, and prioritizing conflicting loyalties? Back in August my blogging waned and by October it was gone. No real reason except that I was stuck. Although usually quite reselient, I got stuck when I lost my illustion of victory against osteoporosis. What did I have to say after I had already declared victory in Moved the Needle by achieving one full standard deviation (from -2.6 to -1.6) of improvement after my first year and then regressing a half a standard deviation (-1.6 to -2.1)? Yet, I have continued to feel the pull of the long-view, so I am declaring myself unstuck. Stay confident when faced with a setback. Persist when investing in the future (the long-view). 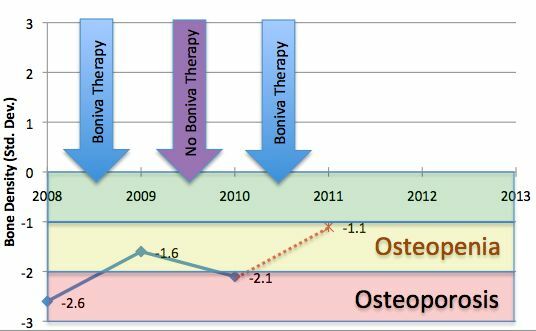 For the record, I regressed a half a standard deviation after one year of drug holiday (Boniva) but fully compliant load-bearing exercise (increased mineralization) and calcium supplements (increased mineral availability). In late summer, I will know whether I can achieve -1.1 in 2011 with the assistance of drug therapy (Boniva).